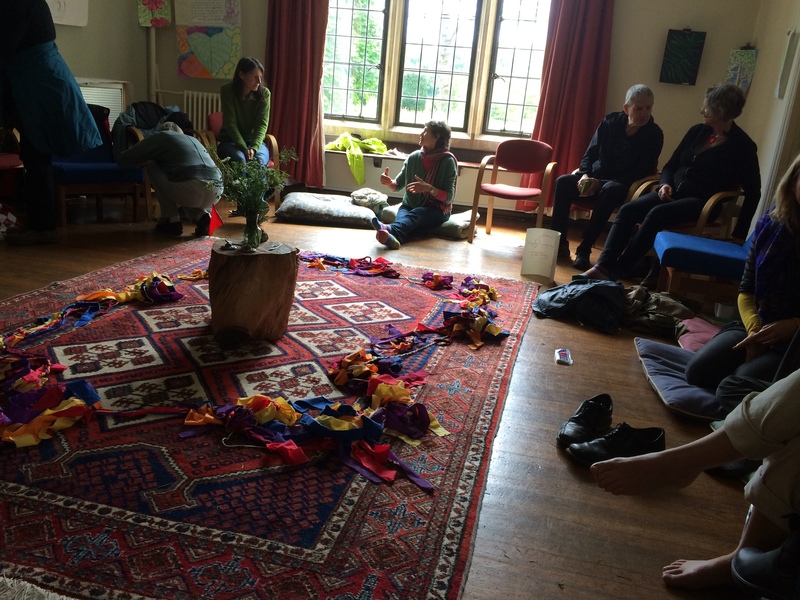 The last 2 weeks of May, I was at Schumacher College attending a course “Voices for the Earth”. I’ve heard a lot about Schumacher College and was scanning their programs once in a while, waiting for the right moment to visit this remarkable place. 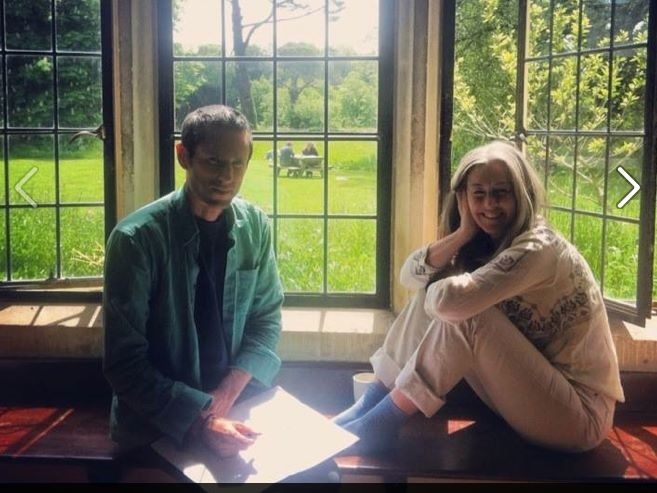 The title “voices for the earth” sounded great and when I saw that this program was offered by Charles Eisenstein and Polly Higgings, I almost immediately registered. What a unique opportunity!! It’s difficult to capture into words what I “learned” during those 2 weeks, because it was not about new “knowledge”. It was a deep dive into ourselves and into the new story that is unfolding or I should say, the new story that is becoming visible to us, if we dare to see it and live it. And this story is actually not New, it’s very Ancient. But the era of Separation made us forget it, we were on on another learning journey as humanity. Luckily, as Charles points out in his last book, there are 3 seeds that help us remember: indiginous cultures, stories/myths/legends and the lineage of wisdom traditions like Sufism, Kabbalah, Taoïsts, Christian mystics…. It’s not lost, just forgotten. 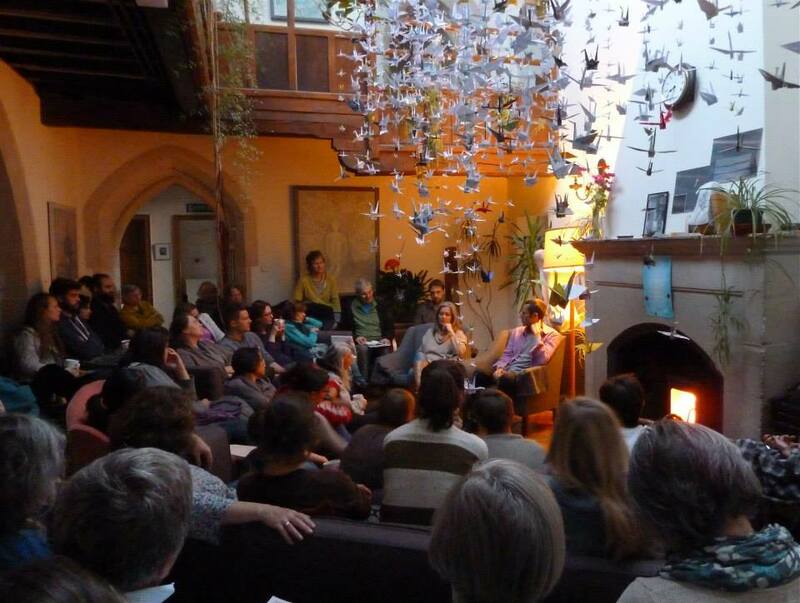 How do we invite ourselves and others into this new story? Not by blaming and shaming. By sharing stories about what’s possible, and even more by creating possibilities to experience the new story. 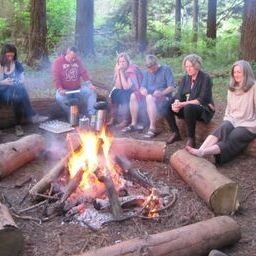 By becoming storycatchers, storycarriers and storytellers, true to our inner compass. The gifts for me are clarity, courage, knowing, relationship, faith, purpose…. Another seed that was planted in me, is Polly’s work with the law on Ecocide. This is huge! It would reframe our society on the deeper level of values and beliefs. If I try to sense into the consequences of this law coming into being, I can imagine how this will affect many of the challenges we’re facing today, by redirecting attention and intention. It would redirect what we believe is valuable, and with that what we- as a society- would invest in, attentionwise and moneywise. Polly compares this law with the law that abolished slavery, which also generated a paradigm shift into our values and into our beliefs about being human. “All humans are equal”. Of course a law can’t solve everything, but it redirects attention, it creates the start of a long process. Even slavery still exists in our world. The law on Ecocide does take our awareness even further than “all human beings are equal”, it says “all beings are equal” and the universe, nature, is as alive and intelligent as human beings. Charles calls this the last stage of the Copernicus Revolution. These two weeks were a gift, that will take it’s time to generate the next step into my own journey, but I “know” that it will.